“Blue Ribbed Wide Neck Vase” by WheatonArts. 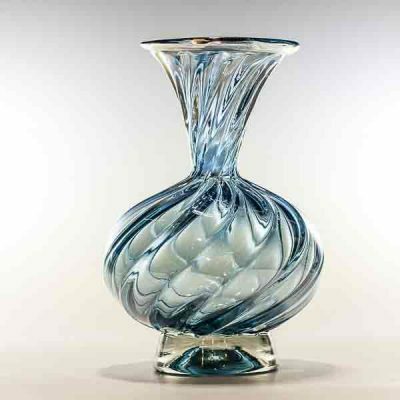 This handblown vase was created in the WheatonArts Glass Studio by our resident artists. This vase makes a great gift or you can keep if for yourself to arrange your favorite fresh cut flowers. Measures Approx. 9.5″ h x 4.75″ wide at the top and 6″ at the widest part.